Manufactured from 1958 to 1961 this model was the first rigid front Retina, and the body casting is slightly longer than the IIIC. 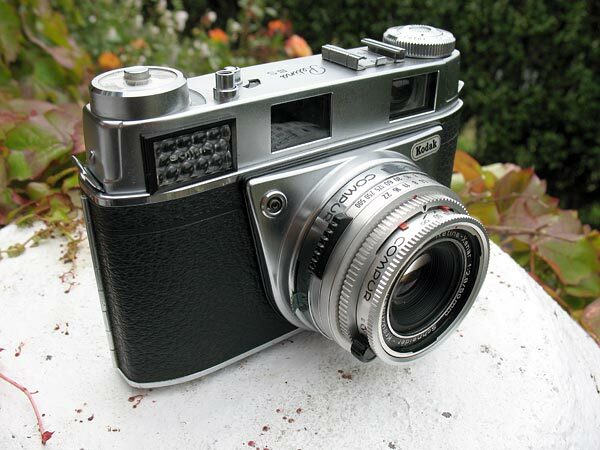 The IIIS used the same series of interchangeable lenses as the Retina Reflex S, III, or IV. It has multiple frames visible in the viewfinder which are automatically selected by inserting the lens, and it has a coupled single range meter. Available with either Schneider or Rodenstock f/2.8 or f/1.9 standard lenses. Shutter is a Synchro-Compur. 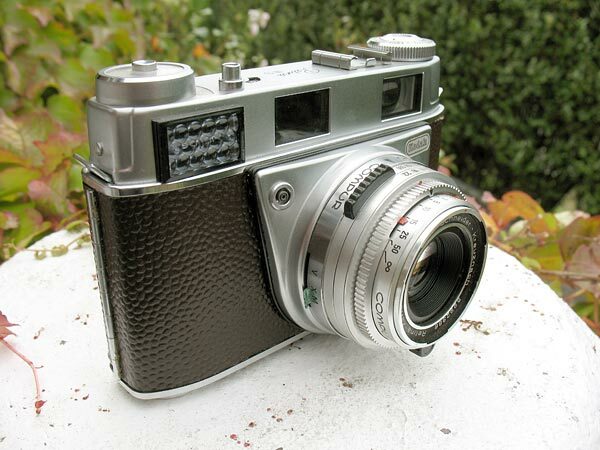 This one is fitted with the Schneider Retina-Xenar f/2.8 lens. This is a nice Retina to use, the viewfinder is bright and clear, and the camera handles well. Lenses are fairly easy to find, and are very reasonably priced. The lens hood for the f/2.8 lens for this model is a rectangular plastic model. It is fixed with a bayonet mount to the front of the lens. The hood looks similar, but is not interchangable with the hood used on the Retina IIIc. The hood also suits the 35mm lens, and the 85mm lens too with the addition of a short extension piece. A problem you sometimes see with this model is that the string connecting the shutter controls with the meter movement on the top of the camera body breaks, and this will then often tangle and jam the mechanism. The whole front has to come off the body for access for this, or to do a CLA on the shutter for that matter, not a job for the faint-hearted certainly, but a little easier than working on the Reflex models. The 200mm lens f/4.8 lens available for the Retina Reflex S does not have a cam to couple to the rangefinder, and is not suitable for use on this camera from what I have heard. Here is a picture of another in my collection one I that I have recovered in brown leatherette. Retina IIIS instruction manual on Mike Butkus' excellent website.